The Panasonic Lumix DMC-TZ5 was announced in January 2008, exactly one year after its predecessor, the enormously successful Lumix DMC-TZ3. The earlier TZ3 was arguably the perfect travel camera, a pocketable compact which managed to squeeze in nothing less than a 10x optical zoom lens complete with image stabilisation and a generous 3in screen. It was one of our favourite compacts of 2007, with pride of place in our Best Buys section and a justified best-seller. The new Lumix TZ5 doesn’t mess too much with a winning formula. 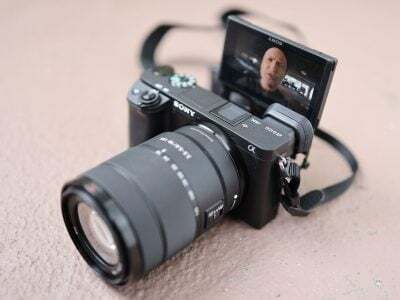 It keeps the same 10x stabilised zoom with its useful 28-280mm equivalent coverage, but in a move which will delight many photographers, has reinstated the ability to optically zoom the lens while filming videos. Speaking of videos, the earlier TZ3, like other Panasonic compacts, already featured decent options including a genuine 848×480 pixel widescreen mode. But the new TZ5 ups the ante with the ability to record high definition video at 30fps in the 720p format – that’s 1280×720 pixels – and there’s also an optional component video cable for connection to HDTVs. The screen remains 3in, but the resolution boosted from 230k to 460k pixels. This may not be as detailed as 920k displays with 640×480 pixels, but still represents a mid-way point between then and 230k screens. You can also now have music to accompany slideshows. Like its other 2008 models, Panasonic has also equipped the TZ5 with its latest Intelligent Auto mode which combines a number of new and existing technologies to detect scenes, motion and adjust the sensitivity as required. This also includes Panasonic’s own take on the dynamic range boosters seen on many recent DSLRs which reduce the exposure to preserve highlights, while brightening shadow areas. Interestingly Panasonic does this by actually adjusting the sensitivity in different parts of the sensor. Which finally brings us to the sensor itself, which inevitably has an increase in resolution. 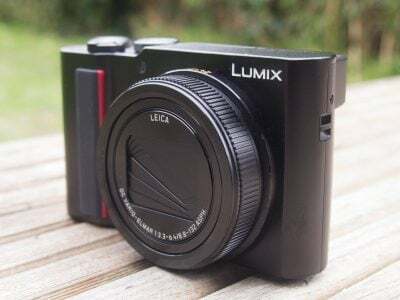 Since noise was already an issue with its predecessor, it would be too much to hope that Panasonic made better use of its light gathering power, but of course marketing strategies dictate more Megapixels, so the 7.2 Megapixels of the earlier TZ3 have been increased to 9.1 on the new TZ5. Interestingly like its predecessor, there’s actually a higher resolution sensor in the body – a 10.7 Megapixel chip in the case of the TZ5 – but Panasonic only uses a smaller portion of it. This allows the camera to cleverly maintain its coverage across wider aspect ratios. So by adding HD video, a more detailed screen and a cunning auto mode to what was already a winning model, has the best just got better? Or has Panasonic scored an own-goal by unnecessarily increasing the resolution and further compromising low light performance? 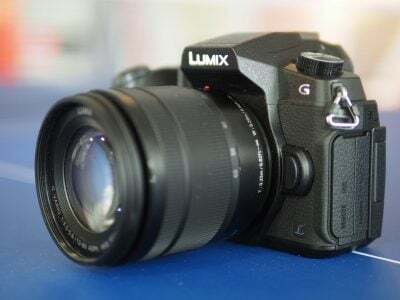 Find out in our Panasonic Lumix DMC-TZ5 review where we’ll thoroughly test its image quality and the new features, while comparing it against its predecessor and rival models. And as always, for a demonstration of its key features, check out our Panasonic Lumix DMC-TZ5 video tour. Note: Panasonic launched the Lumix TZ5 alongside the slightly lower-end TZ4. The TZ4 is identical other than having 8.1 Megapixels, a 230k 2.5in screen and no HD recording facilities. Also note the Lumix TZ5 is known as the Lumix TZ15 in Asia, Australia and New Zealand; both models are identical other than the name.